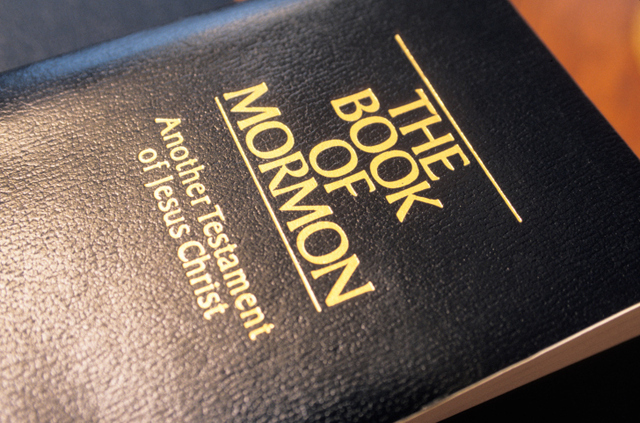 Why in the Book of Mormon is Jesus Christ and the Father always described as the same person? Our church (LDS) believes that Jesus Christ is the son of our Heavenly Father, two separate and distinct individuals. I also believe this and always have, even before I was converted a year ago. But a massive contradiction exists in our own Book of Mormon; I can almost name the 100 or so verses from the King James, such as Psalms 110:1 and Hebrews 1:3 and many others where it is directly obvious that they are two separate persons. HOWEVER: Whenever any of the Book of Mormon prophets discuss Jesus Christ’s relationship to the Father, they are ALWAYS described as being the same person. Mosiah chapter 15 being the worst example of this (Look at the chapter’s leading description – “How Christ is both the Father and the Son”). We also see near the end of the Book of Mormon that Christ himself states that he himself IS the Father. This flies in the face of Joseph Smith’s first vision and the entire King James Holy Bible. This issue causes me lots of confusion and difficulty, and no one can answer this question adequately. Your turn. It is also written in your law, that the testimony of two men is true. I am one that bear witness of myself, and the Father that sent me beareth witness of me (John 8:17-18). But also in John we read that the Father and the Son are one. These are the words of the Savior himself. I and my Father are one (John 10:30). Now, if you believe the Bible to be the word of God, you must believe that both of these statements are true. The question is, how can that be? You’ll have a hard time finding a clear explanation of that doctrine in the Bible, but it is amply clarified in the Book of Mormon. Ye have spoken the words that I desired; and the covenant which ye have made is a righteous covenant. And now, because of the covenant which ye have made ye shall be called the children of Christ, his sons, and his daughters; for behold, this day he hath spiritually begotten you; for ye say that your hearts are changed through faith on his name; therefore, ye are born of him and have become his sons and his daughters (Mosiah 5:6-7). So in this sense is Christ called the Father. 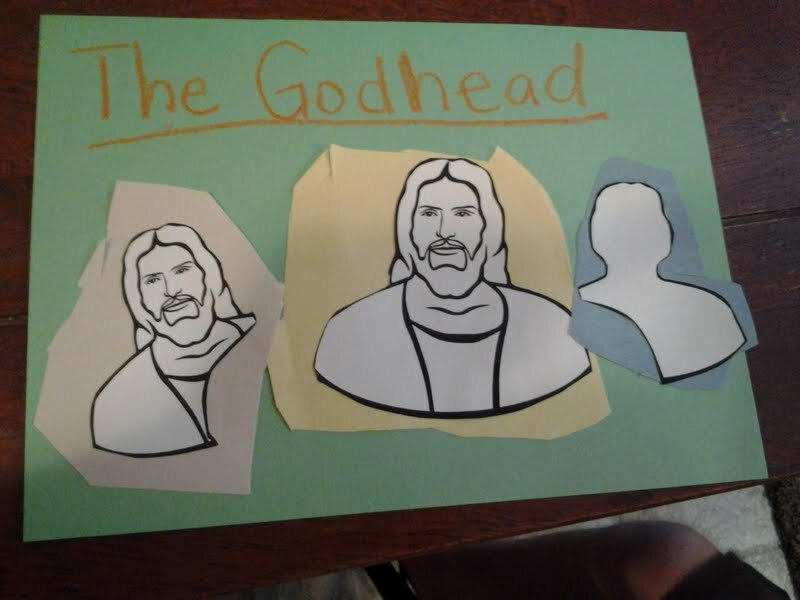 It in no way implies that the God the Father and his Son, Jesus Christ are one and the same person. That is not the intent of the scripture. That is not what it means. And now Abinadi said unto them: I would that ye should understand that God himself shall come down among the children of men, and shall redeem his people. And because he dwelleth in flesh he shall be called the Son of God, and having subjected the flesh to the will of the Father, being the Father and the Son–The Father, because he was conceived by the power of God; and the Son, because of the flesh; thus becoming the Father and Son–And they are one God, yea, the very Eternal Father of heaven and of earth. And thus the flesh becoming subject to the Spirit, or the Son to the Father, being one God, suffereth temptation, and yieldeth not to the temptation, but suffereth himself to be mocked, and scourged, and cast out, and disowned by his people (Mosiah 15:1-6). Abinadi refers to the Savior as “God,” and correctly so, for indeed he is a God. “And because he dwelleth in flesh he shall be called the Son of God.” Dwelling in the flesh, he was born of mortal Mary and the Immortal Father, and rightly is called the Son of God. He is called “the Father” “because he was conceived the by power of God.” It was that divine power that enabled him to bear the sins of the world, and thus become the Father of the faithful, as explained by Mosiah. Abinadi then explains the THEY (plural) are one God–again in the sense of purpose, not in a literal sense. And so we could go on–. Whenever the scriptures–either the Bible, the Book of Mormon, the Doctrine and Covenants or the Pearl of Great Price–speak of the Father and the Son as being one God, the intent is that they are one in mind, in purpose, in mission. It never means in any reference that they are one and the same physical person. I would suggest that you read again all the related scriptures with a prayerful heart, asking the Father to reveal to you their true understanding, and I’m sure that any confusion that you may have experienced will clear up, and you will come to an understanding that will be without conflict in your mind. The Father and Jesus Christ are two Separate Personages Why are God and Jesus Christ both considered “our Father”? Why don’t Mormons pray to Jesus since they regard him as Jehovah? Why did the Nephites know the name of Jesus Christ in the new world of the America’s before Christ was ever born, but it was not known among those of the Old Testament? Why are God and Jesus Christ both considered “our Father”? Why don’t Mormons pray to Jesus since they regard him as Jehovah? 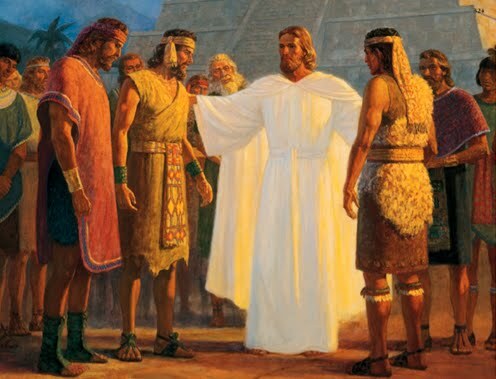 Why did the Nephites know the name of Jesus Christ in the new world of the America’s before Christ was ever born, but it was not known among those of the Old Testament?